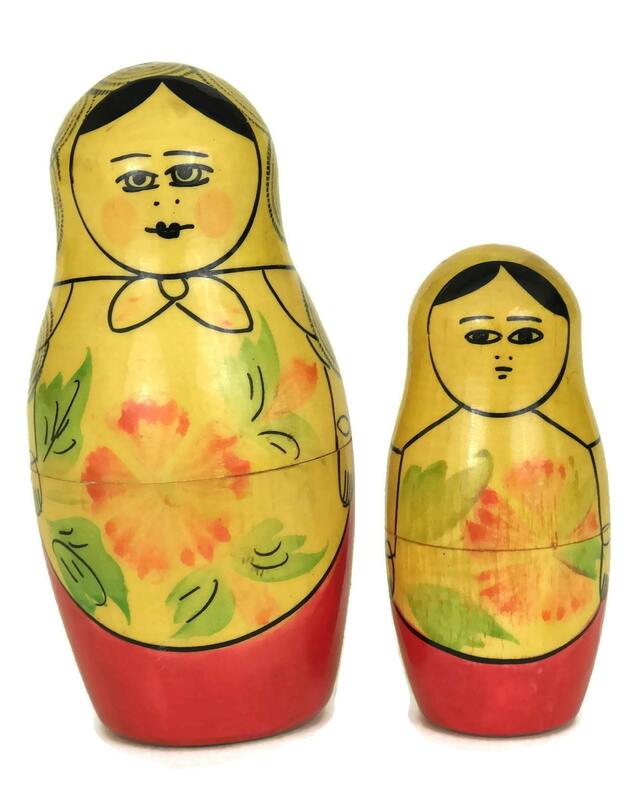 Vintage Babushka Dolls. 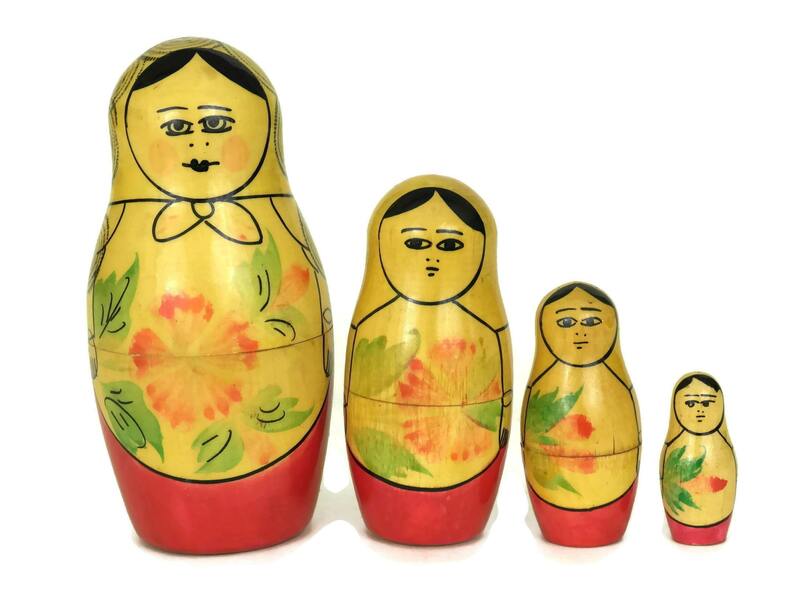 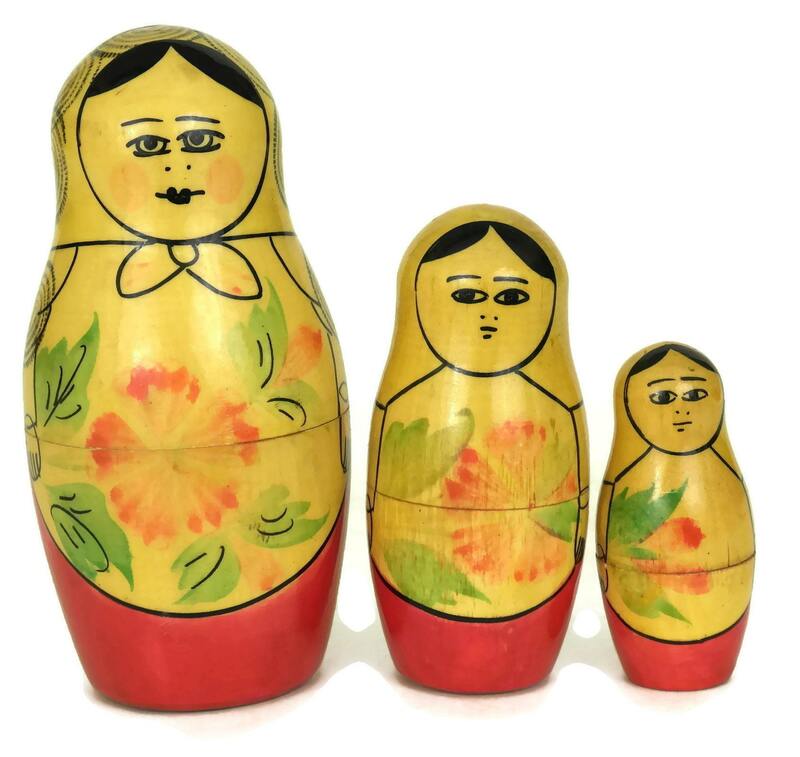 Russian Matryoshkas Nesting Doll Set. 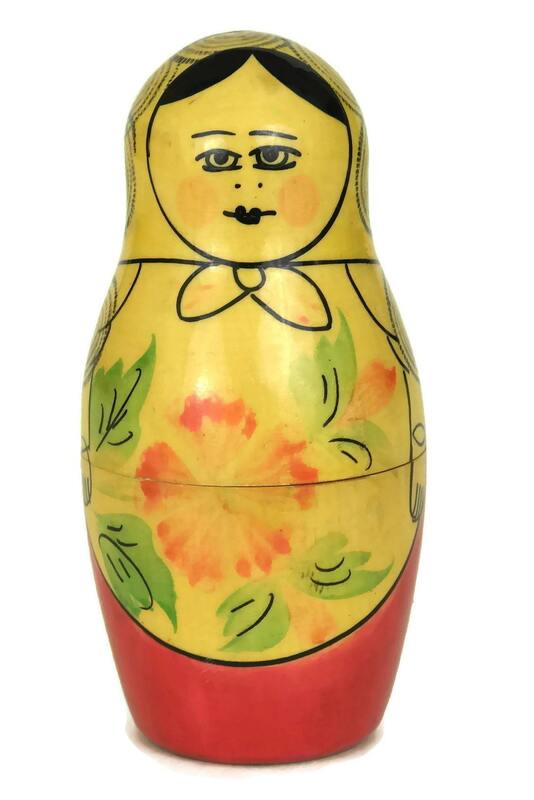 Soviet Toy & Souvenir Gifts and Decor. 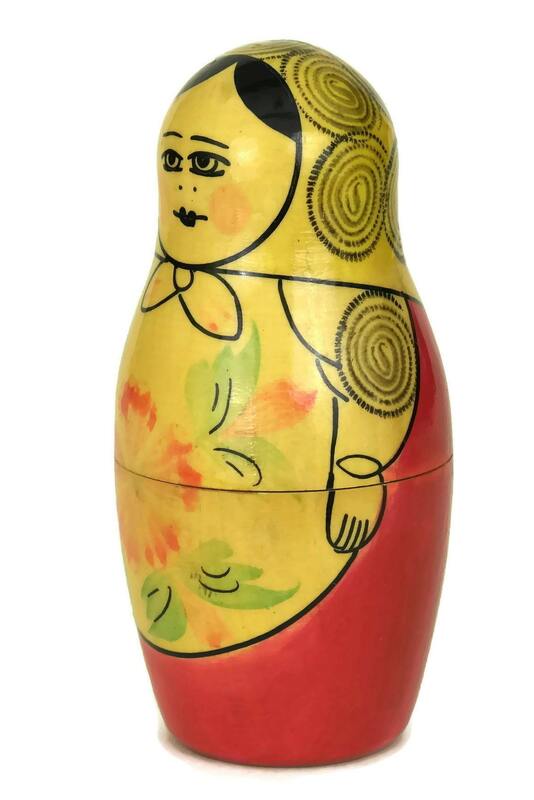 A charming vintage set of Russian babushka dolls from the 1970s. 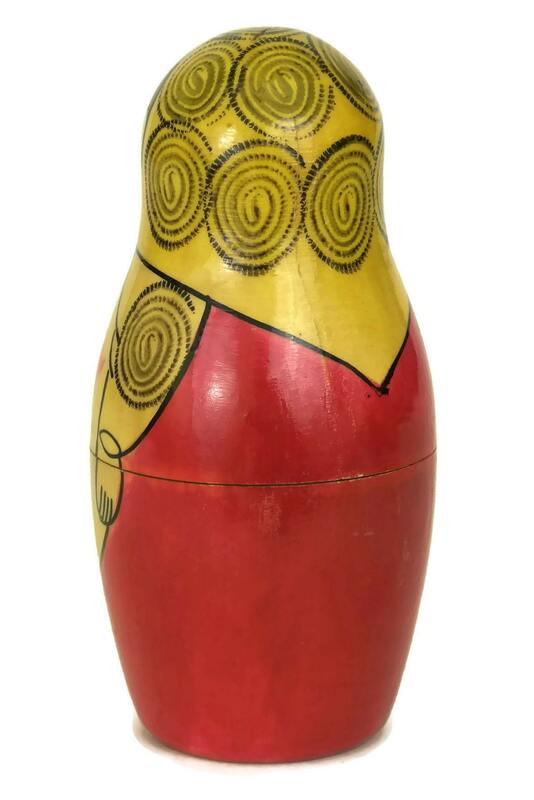 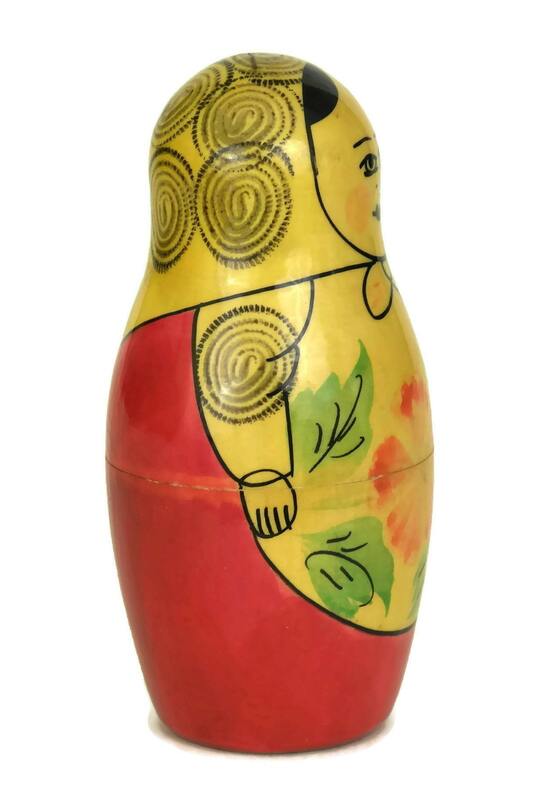 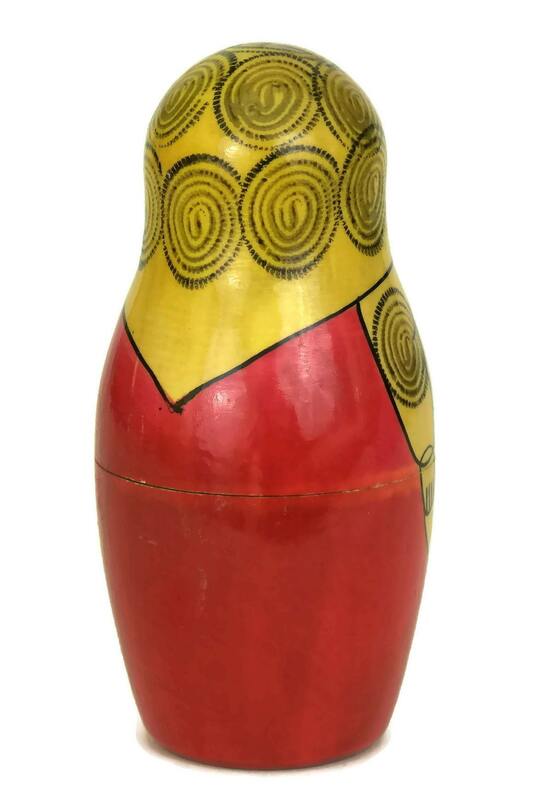 The traditional small wooden nesting dolls have been hand-painted with classic soviet matryoshka figures. 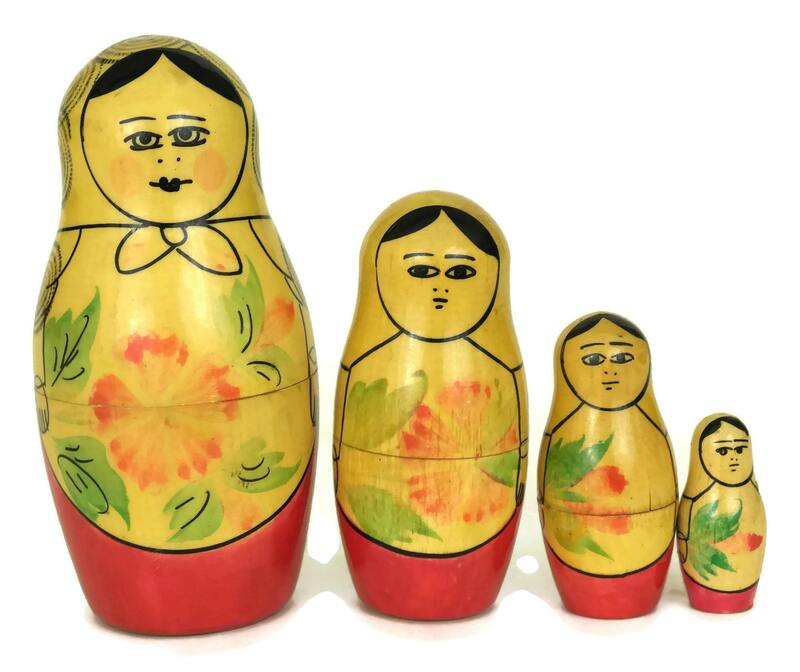 The 4 souvenir dolls each fit into the next one up in size. 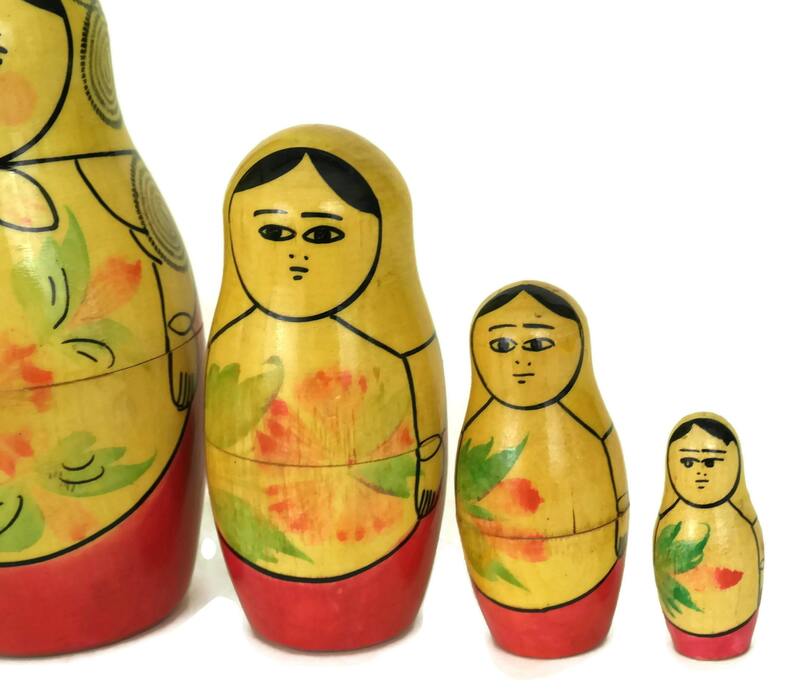 The set of vintage Russian toy dolls is in very good vintage condition light signs of age and wear.